Have you seen the all brilliant app that lets you use 6 digit codes to install APKs instead of typing long URLs? No it isn’t Filelinked, neither is it Downloader. It is FireDL, a handy tool that aims to change the way we download stuffs online. Simplicity they say is the ultimate sophistication and it’s a tradition that’s becoming ubiquitous in our era. While we are mainly focused on digging the web for relevant files elongated in long URLs, developers are effortlessly working on how to make things easier for us. It is discouraging, when we indulge in the deep dark depths of file underworld wasting our precious time and data simply because we do not have a clue of what we are looking for. To put a stop to this, an Android app dubbed FireDL has emerged, allowing users to easily download zip files and applications by entering six (6) digit codes instead of typing long boring URLs. 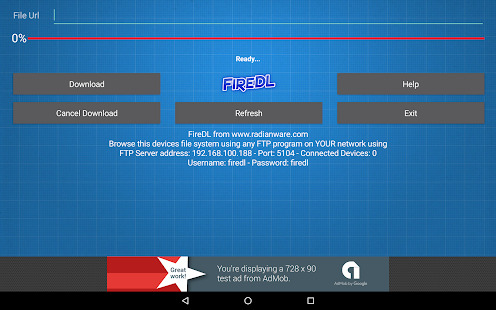 FireDL is a handy tool that allows users to install apps and zip files on Firestick and Android by using six digit codes instead of URLs. Its main goal is to change the way we download “stuffs” online, and it does so with little or no “minimal fuss”. For one thing, FireDL is simple and easy-to-use, it typically acts as a search engine where you can painlessly download various apps by pasting an “already created direct link” (often known as code) leading to that particular file. One of its major benefit is that it limits the need to manually download APK files and also reduces the cumbersome of sideloading them. If you own an Amazon Firestick device, then FireDL is an ideal app for it. 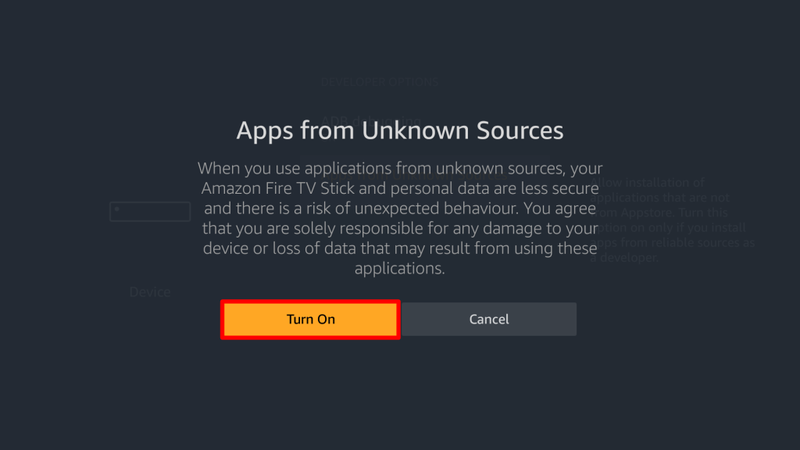 Luckily, the app is available to be sideloaded on your firestick and we’re going to guide you through the steps. So if you have already connected your firestick device to your TV, it’s time we prepare it to install the FireDL app. 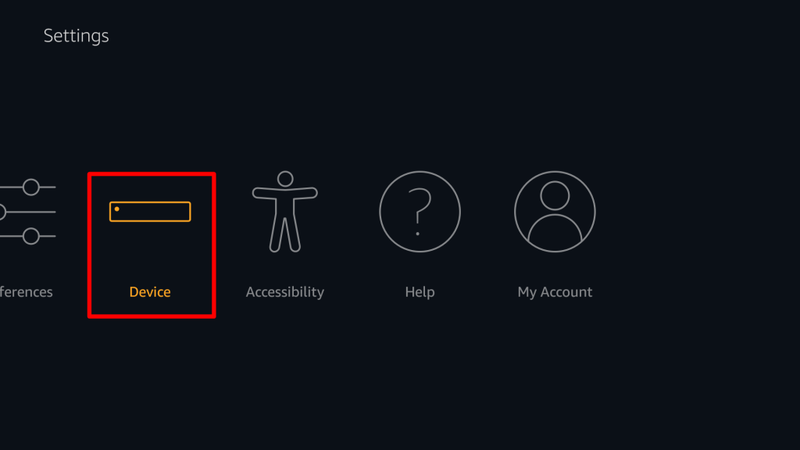 To begin with, fire up your firestick device and click on “Settings”, then scroll right and select the “Device” option. From here, click on “Developer Options” followed by “Apps from Unknown Sources”. A warning message will pop-up, go through it and hit Turn ON. Next up, navigate back to Firestick home page and select the “Search” option. 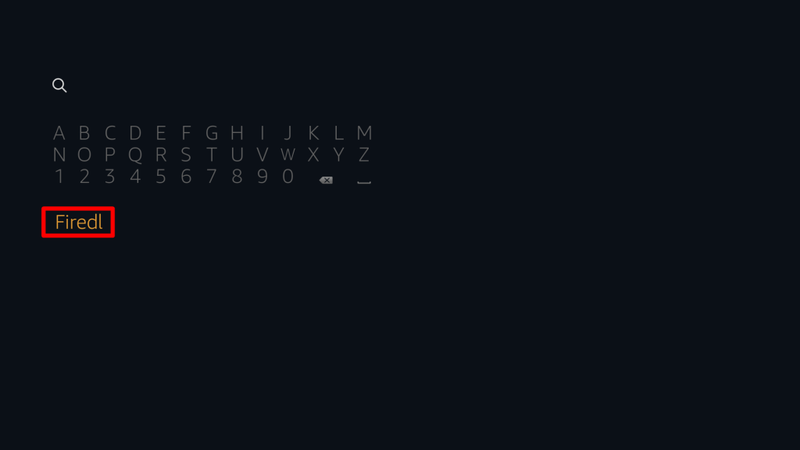 Then use the remote to write FireDL and click the provided result. Now simply hit the “Get” button to start installing the FireDL app. Once done, you can go ahead and fire it up directly or do so within the home menu. 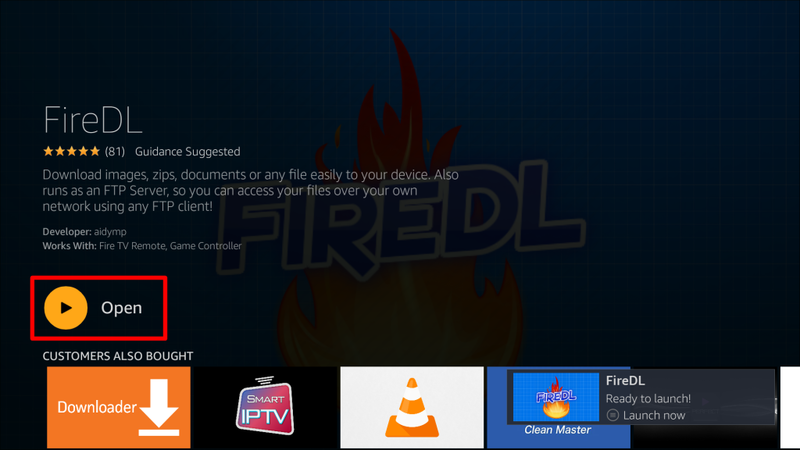 The FireDL app “works great” on Firestick device, but if you do not own one, you can still install it on your Android device with ease. So without further ado, here is how to download FireDL APK on Android. To get this one going, open up the Google Play Store and search for FireDL. It is an app developed by aidyMatic, so ensure to choose the right one. Once found, select it and click install from the next page. After the download is completed, go ahead and fire it up and you’ll be ready to download apps and other zip files by pasting your FireDL codes. It’s quite easy to create a FireDL code, but before we proceed, there’s something you need to know. FireDL is divided into two parts, the app and the website. The latter is designed to allow users create codes to their personal files, while the app is used to download those files. So assuming you have had all your apps uploaded to a file hosting services like Dropbox, then here’s how to create FireDL codes. To begin with, simply head over to radianware.com and select the “Create a FireDL Code” option. The service is still in Beta stage, but works flawlessly. On the next page, you will need to enter the informations relating to the file you want to generate its codes. So go ahead and type in the name, description, direct URL and choose the file type. Once done, select whether you want the file to be listed publicly, then accept the terms and hit the submit button. Boom! That’s it, your code will be automatically generated and will last for 60 days. Directly from RadianWare homepage, you will get to see tons of FireDL codes that are generated by users. Despite the fact that most of these codes lets you download relevant apps and files, they still aren’t enough. So if you’re need of more codes, then here are the latest FireDL codes that works in 2018. So these are the latest FireDL Codes List worth trying out. They have been tested and found working flawlessly. Obviously, there are a slew of FireDL Codes on the internet that brings with them files such as Kodi builds and repos, but you’d need to be cautious as most of them are filled with malwares. If you have any working FireDL codes that works, do endeavour to share them via the comments below.